Lucky Dog Stamper: Thanks a Bunch! Today's card uses Sketch #257 from Card Positioning Systems sketch challenge. I decided to go bold and used my new Lily Bee Design paper - love it! And I think it works perfectly with this sketch! The stamps I used are from two different sets - one from Waltzingmouse and the other from Wplus9. I love mixing and matching stamps. yo tb estoy participando, por si me quieres pasar a ver!! 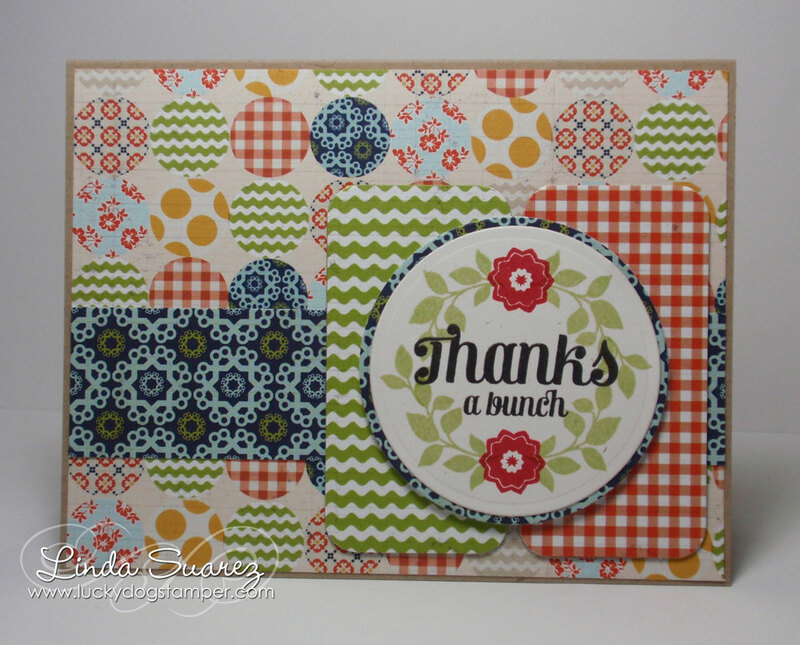 Love the quilt design...please link up with me at 52 Card Pickup! Oooh, how cute is that! i love all those patterns! :) thanks for playing at CPS with us! 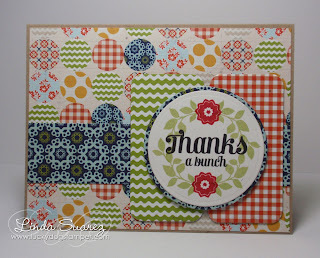 Once again Linda your use of pattern paper is just awesome!! I love how you mix it up! !